One of the highlights of the World War One Commemoration Programme in 2014 to 2018 could well be the sight of the restored steam locomotive Passchendaele making its way majestically throughout New Zealand. 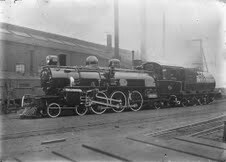 In 1925 the Minister of Railways, Gordon Coates agreed to name a steam locomotive “in memory of all those members of the New Zealand Railways who fell in the Great War”. The Somme, Ypres and Le Quesnoy were all considered but the decision was made for Passchendaele. The locomotive chosen to carry the name was Ab608, built two years before the Battle of Passchendaele in October 1915 at the Addington Railway Workshops in Christchurch. In their prime the Ab class hauled all the principle express trains through both islands but Passchendaele was retired in October 1967 when its boiler required heavy repairs. It was subsequently given in 1978 to the New Zealand Railway and Locomotive Society for preservation and in 1993 it was arranged that Steam Incorporated would take charge of Ab608 and restore it to operating condition. Founded in 1972 Steam Incorporated is dedicated to the restoration to full working order of former New Zealand Railways locomotives. It is a Registered Charity and based on the site of the historic locomotive depot at Paekakariki. The Society have so far spent around $250,000 on restoring Passchendaele and hopes to raise a further $100,00 to complete the restoration by late 2013. It is envisaged that the restored locomotive could feature in troop train re-enactments and be used as a mobile memorial site and for touring exhibitions during the World War One Commemorations.